Hey girls! 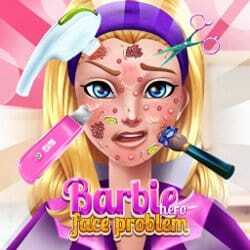 The amazing girl Super Barbie needs a brand new look. 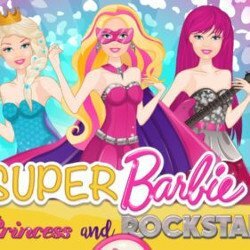 She wants to be a famous cheerleader for her amazing football team and you can help her in this new game called Super Barbie Cheerleader! Are you ready to start this fabulous makeover? A facial pampering session is a must. Use a great mask and cleanser to make the skin smooth and amazing. Another great idea is to remove the unwanted eye brow hairs. Now, that her skin is flawless, you can apply the makeup and you should start with the base. Add a great foundation and concealer and then the blush on the cheeks with a fluffy brush. 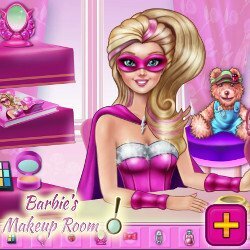 In Super Barbie Cheerleader add a red lipstick and a great purple eye shadow on the lids and move on to the great dress up. Choose a great dress with pink and white and a comfy pair of shoes. 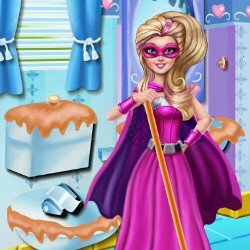 Another great idea is a lovely mask, her signature one, and a cute cape.